Why stay pleased with only a single nail color when you have the chance to sport all the hues of the rainbow at once? 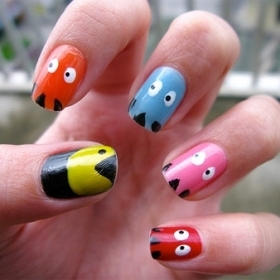 Indeed, these multi-colored nail designs would cheer you up due to the fabulous and dapper shades they use. Challenge your nail painting skills and reward yourself with a unique and chic nail art which would definitely make the desired statement among your admirers. Learn how to take advantage of the infinite and voguish looks available to everyone who is fascinated by this modern art. Are you one of those cheerful people who would like to flash their joy with their clothing style as well as makeup or manicure? 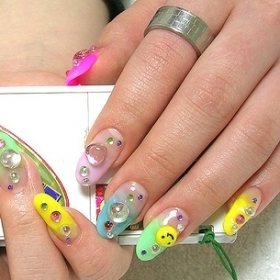 Then sure you are in shortage of versatile and faddish ideas on how to bring out the best of the length and shape of your nails. The multi-colored nail designs below are the perfect source of inspiration for your creative projects. Use the best nail art products as well as high quality nail polish to grant your nails with a cute design in the endless shades of the world. Choose vibrating tones for an eye-catching effect whereas the pastel shades would serve as the perfect base for a romantic and refined mani. Take a peek at the glam and fun nail art presented below and start experimenting with each of them in a row. Your manicure has the power to send a message to your entourage. 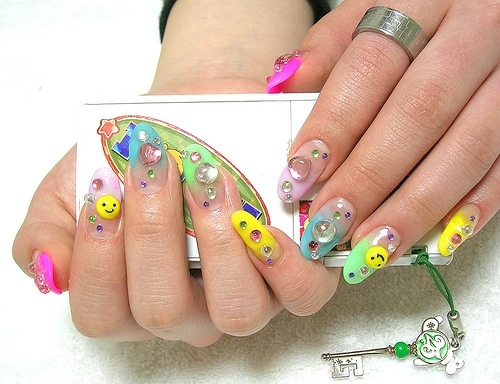 Indeed, if you are an optimistic and versatile person you should flash it with your nails using some of these cute designs as the perfect means to achieve your goal. 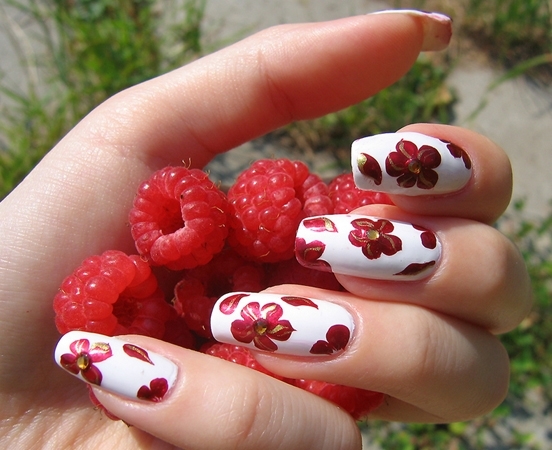 Floral patterns as well as more abstract images are some of the visionary patterns to decorate your nails with. Dress up the perfectly polished canvas with a base shade if you wish, then apply all the additional drawings and designs. Those who would like to pair their French manicure with these prints will also have the chance to keep the traditional base, then paint smaller and less prominent still colorful and chic images on the nails. The complex patterns as nail artists claim might need a more advanced painting talent, however some of these can be easily created with the help of pro nail tools. Challenge your skills to a creative project and turn your nails into a real work of art with those radiant hues and inspiring images and patterns. 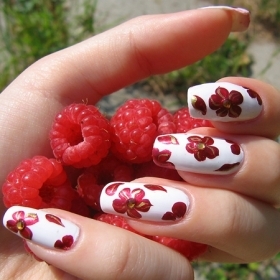 Furthermore, complete the effect of your manicure with stick-on details as tiny pearls or little flowers. All these are indeed determined by your talent and creativity, therefore take a glimpse at these multi-colored nail designs even if you would only like to have an idea of the endless selection of manicure alternatives available. Stay up-to-date with the newest patterns and design your own if you wish. 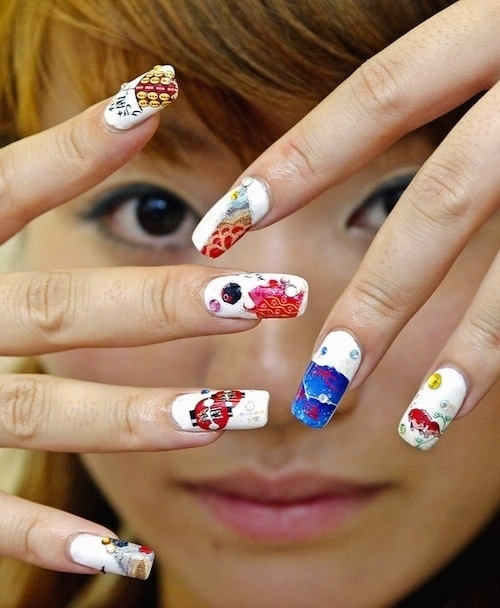 Floral nail designs as well as other funky patterns as cartoon or video game heroes are only some of the crazy ideas to consider. 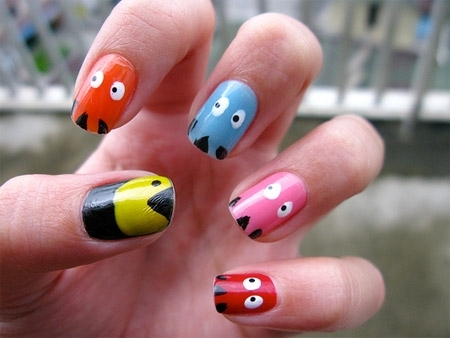 Colorful nails were always the best accessories to complete your outfit and break with the monotony of the rainy season. Use the fab designs to cheer yourself up and get into the groove of adopting a more colorful clothing style too. One of the basic conditions to rock the look is indeed to take into account your skin tone and pair the right shade of nail polish to this. 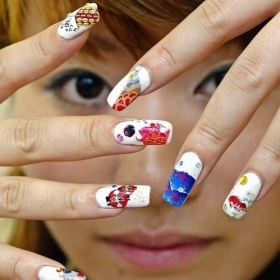 Have fun with the voguish patterns and set the paves for your nail artist career in the future.